We had a great meeting in December at Blaine Holbrook’s home. 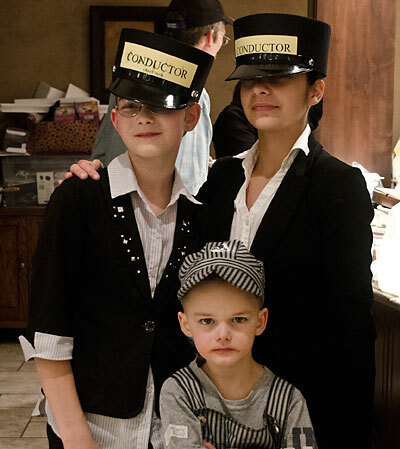 He and his family made us feel very welcomed and it was a nice touch to enlist the help of his granddaughters (I think) and that they were willing to dress like conductors! Look for more info about it and pictures in the next newsletter. It was very close between the 2-year Board Member positions with Alan just a few votes behind. That’s OK because as Chairman he will have plenty to do to get ready for the NMRA National Convention! In fact, I heard the first meeting might be in January so don’t be shy and get on board to help it be a great convention! Thanks to all who voted. The online system worked very well and from what I’ve heard, a record number of people voted this time! We love to see more and more people get involved.